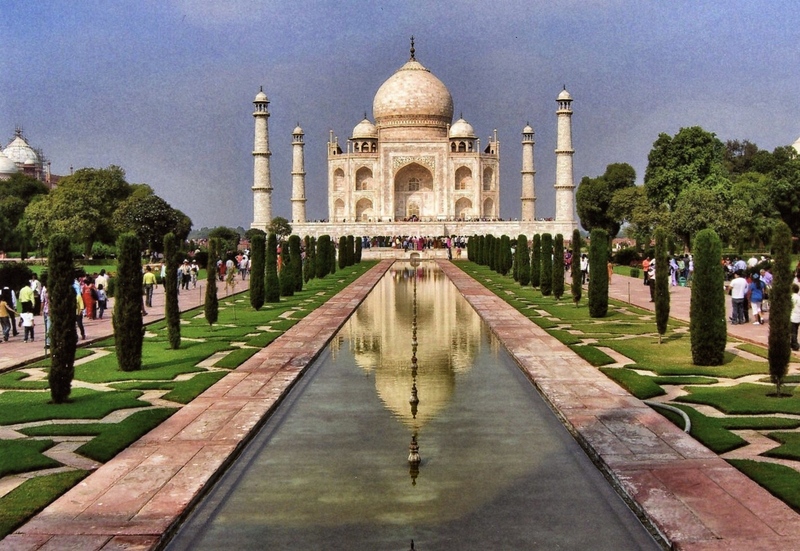 In response to Jakesprinter’s Sunday post with the theme of “solid” I couldn’t think of anything more solidly built and beautiful than India’s beloved Taj Mahal. A true testament of beauty, labor and love, this breathtaking structure was built in record time taking only twenty years to build using spectacular white marble and thousands of workers and artisans. It is one of the most impressive masterpieces in the world. Although the journey there was backbreaking and treacherously awful, when we finally arrived and I saw the Taj Mahal for the first time, it took my breathe away. He must have really loved his wife to build such an amazing testament of love. To read more entries to this week’s photo challenge solid, click here. This is something I would really love to see. What a fabulous photo! Taj Mahal is truly a symbol of beauty, labor and love. Beautiful image that makes all of us want to dream. Thanks! It sure was sensationally beautiful to see it in person. There was something about it that just took my breath away. So romantic and so magical. For 120 miles, Texans probably can make it in less than 90 minutes. I bet you’re right but you probably don’t have cows, camels and what-have-yous interfering with the “pedal to the metal”! This is an amazing building! Good choice! Thanks! It was breath-taking to finally see it in person. Wow…..